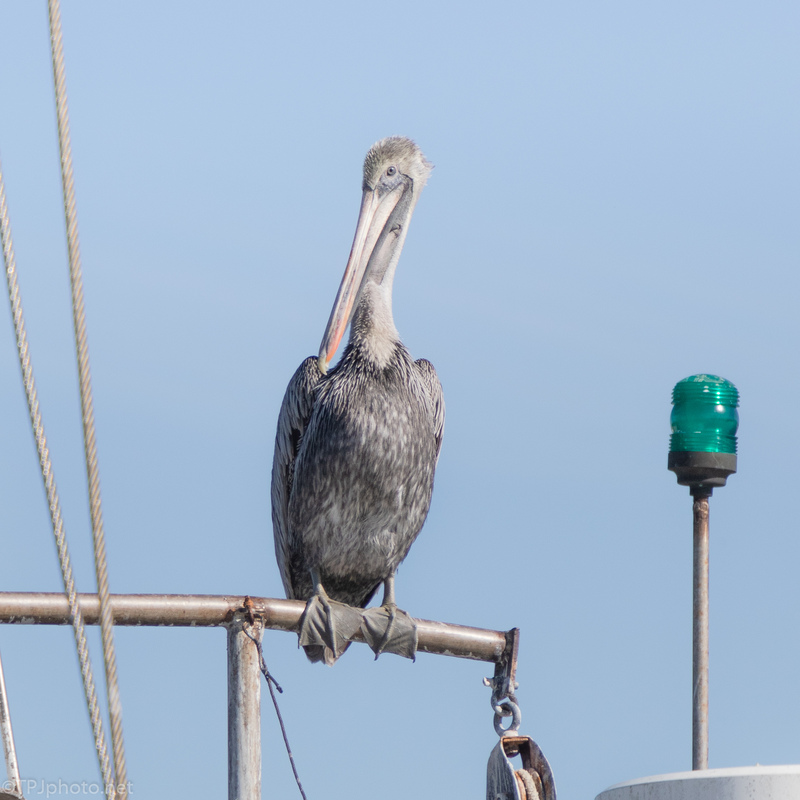 This is why I like Brown Pelicans. They have a presence, character. 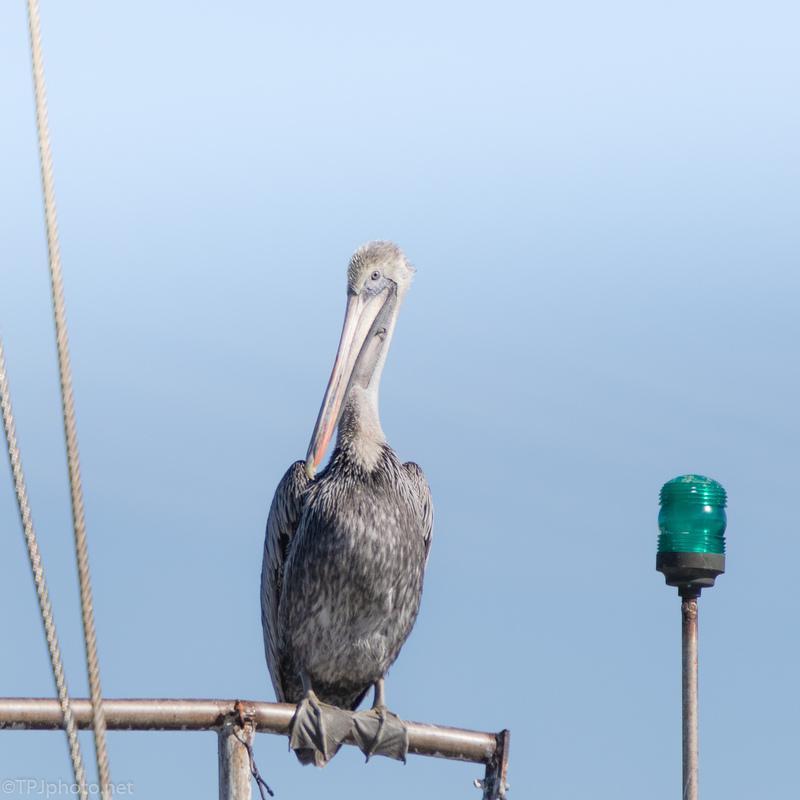 What other bird can sit on top of a commercial fishing boat and give it ‘class’. That is a great looking pelican. I think he is aware of your presence but feel very comfortable. They feel like they own the shrimp boats. And why not, when they come back in with their catch many other things still caught in the nets are thrown overboard. 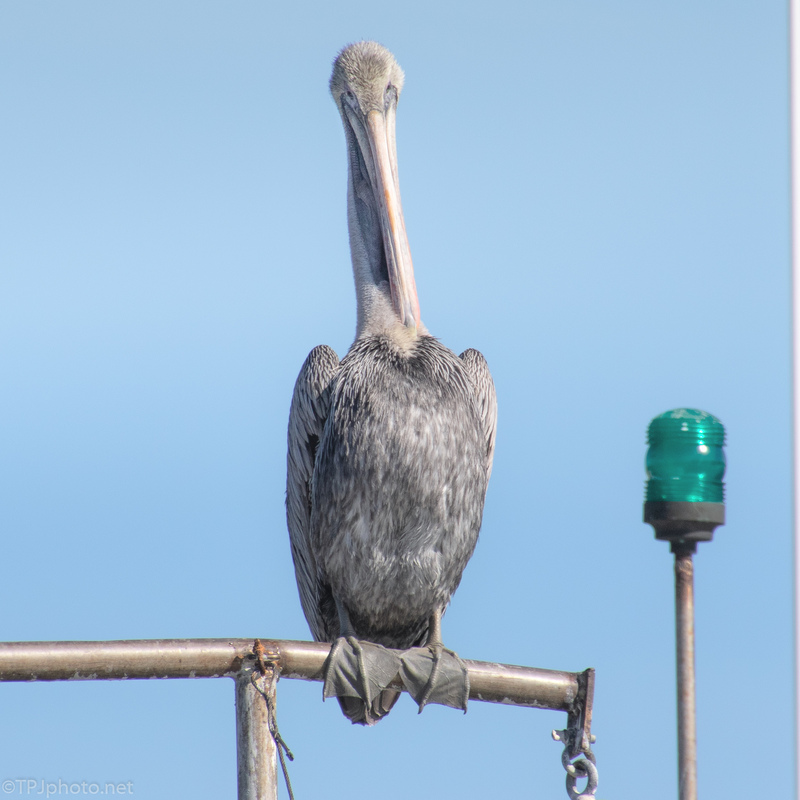 Free meals for Pelicans.